Thank you for enquiring about Woodford Reserve. We have received your enquiry and our team will be in touch shortly. 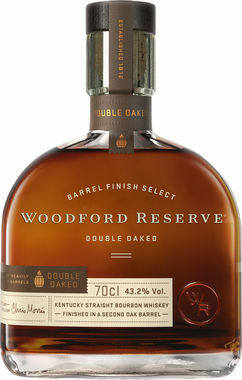 Woodford Reserve is a super premium small batch Bourbon. Clean, brilliant honey amber in colour with heavy rich dried fruit, hints of mint and oranges covered with a dusting of cocoa on the nose. In the mouth, faint vanilla with tobacco spice come through with complex citrus, cinnamon, cocoa, toffee, caramel, chocolate and spice notes abound. Silky smooth, almost creamy at first with a long, warm satisfying tail.